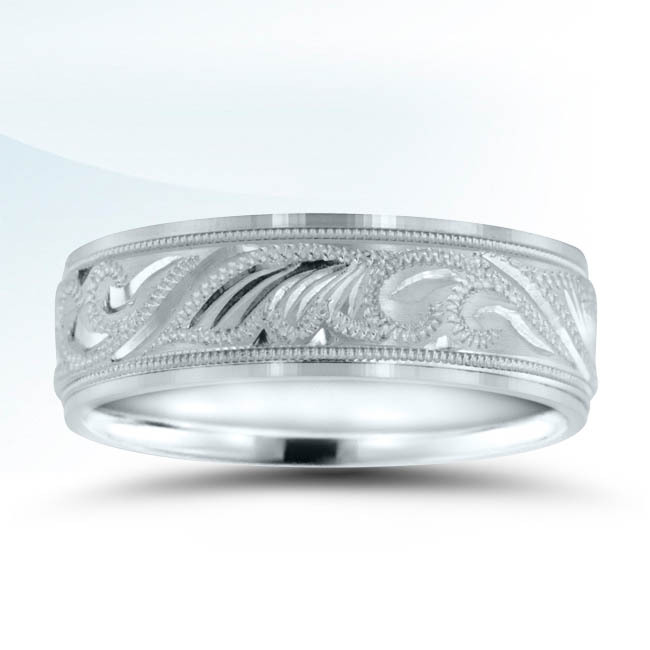 Novell engraved wedding band style N16620 is 7mm wide, but can be created in a variety of widths and thicknesses. All Novell wedding bands are handcrafted in Americay. Typical orders take ten working days.